Ahmed Elmohamady believes hard work will be the key when Hull City come up against Belgian side KSC Lokeren in the Europa League on Thursday. After edging past AS Trencin in the last round, the Tigers began their Premier League campaign with a hard-fought 1-0 victory at QPR on Saturday, and Egypt international Elmohamady is pleased with City's start to the season. Lokeren qualified for the Europa League after beating Zulte Waregem 1-0 in the Belgian Cup final last season while the Tigers qualified for the competition after losing 3-2 to Arsenal in the FA Cup final three months ago. I'm feeling very fit and ready to play again, it's no problem for me. 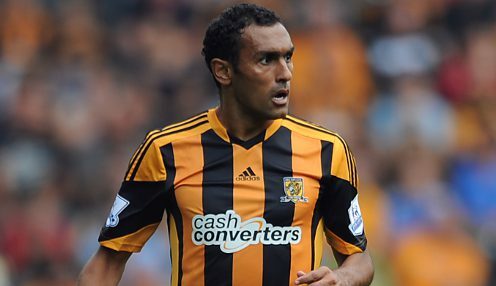 Elmohamady is looking forward to the two play-off games against the Belgians, saying: "When we play away we know we have to defend well as a team and defend our goal properly. We worked very hard at QPR, especially in the last ten to 15 minutes, and everyone deserved the win. "It was a difficult game, away at QPR, and the lads were class. It's a massive three points for us and a great start to the season. "I'm feeling good after the two games in Europe and our third competitive game. I'm feeling very fit and ready to play again, it's no problem for me." Hull City, 1/1 to be relegated from the Premier League in the 2014-15 season and 1/1 to finish in the top half of the table, are available at 1/1 to beat Lokeren 1-0 on Thursday.